Most of you know that I’m executive chef for a university in central Alabama. Most people don’t realize that when someone garners years of experience and works for a major contract foodservice organization, as opposed to a private restaurant, the days spent working in the actual kitchen are few and far between. About the only time I get to cook and be creative is for catered functions, or occasional dinners at the university president’s home. I spend 10-12 hours each day putting out fires, like most all of you do, and 90% of my work week involves management instead of cooking. Lately my creative juices have been non-existent, and I haven’t had a blog post in quite some time. For those of you that follow me, I apologize. I’m working hard to rejuvenate my creativity, and outside of a long trip somewhere the cell phone won’t pick up, I’ve been getting inspirations in many of the same places you do, magazines and blog posts. This recipe is my adaptation of a similar one published recently in Southern Living, the only magazine I’ve maintained a constant subscription to since I was old enough to have a checking account. Like all recipes I try, I use the recipe as a starting point and I add or delete from it based on my likes and knowing my tastes. You too should adopt this practice as long as you understand the basics of cooking, what flavors compliment what items, etc. Not only is this recipe beautiful on a plate, it’s quite tasty and would really impress at a dinner party, but it’s also easy enough to prepare on a week night after work. If you aren’t already a fan of Aldi, I highly recommend them if they are in your area. Aldi has jewel peppers, 3-4 per pack, for what a standard grocery store charges for 1 pepper, so you don’t have to settle for green ones to make this dish (green being the cheapest and least tasty). I’m portioned this recipe for 4 servings with each serving being 1 half of a pepper, so it’s easy to do at 1.5 times or 2 times depending on your crowd size. I hope you give it a shot and enjoy! Starting at the bottom of the recipe, combine the cherry tomato halves and remaining ingredients in a bowl and set aside to marinate. Preheat oven to 350F. Place the peppers in your microwave and cook on high for 2-3 minutes depending on your wattage. You want to soften them slightly. 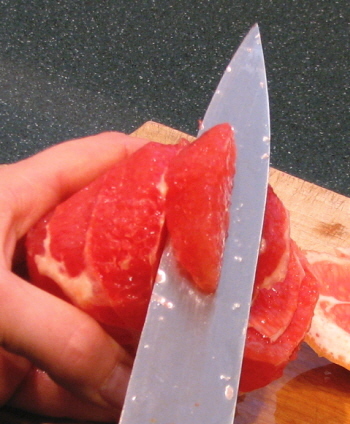 Remove from microwave and slice them in half lengthwise, cutting through the stem so that each half has a half stem attached. 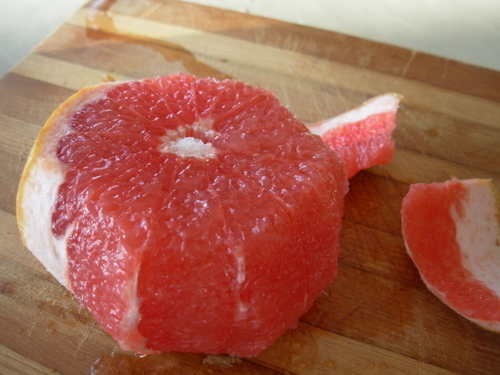 Remove any seeds and membranes, set aside. In a medium saute pan over medium heat, brown the Italian sausage until completely cooked (no pink showing). Remove the sausage from the pan with a slotted spoon or spatula and turn the heat up to medium-high. Add the onion and celery to the sausage oil and cook until tender, 3-4 minutes, shaking pan so contents don’t burn. If your sausage was especially lean (not often the case), you can add a dash of olive oil to the vegetables to saute properly. Add sauteed ingredients to the cooked sausage (including any oil left in your pan) and hold. In a medium saucepan, bring the stock and half & half to a slow boil. Whisk the grits into the liquid and continue to whisk for 30 seconds to ensure they don’t stick to your pot. Turn the heat down to medium-low or low and partially cover with a lid (tilt one side so it can vent). Cook the grits for 5 minutes, stirring often. Be careful around the grits. They will bubble like lava and are about as hot if any pops out on to you. The lid keeps your stove from being a total mess (those of you with smooth top electric ones especially don’t want to clean cooked on grits off your stove). When the grits are thickened and smooth, remove from the heat. Stir in the 1 cup of shredded cheddar cheese, 2 tsp Italian seasoning and then add the Italian sausage mixture to the grits. Season to taste with salt and pepper. Spoon the grit/sausage mixture into the bell pepper halves and arrange on a baking pan or in a baking dish. Top the peppers with the remaining 1/4 cup of shredded cheese and bake for 25-30 minutes, until peppers are shriveling and tops are golden. Remove from the oven and let stand for 2-3 minutes before serving. After plating each pepper, top each pepper with some of the marinated tomatoes and enjoy! It has been entirely too long since I’ve posted to my blog and for that I’m truly sorry. My life at work has been extremely hectic of late and after 10-12 hour days for months on end plus 2 hours of commuting per day, I just haven’t been myself lately. One of the reasons it’s been so hectic at work is that I’m no longer just the executive chef for our operation, but now I’m also the catering manager. My work day doesn’t end until the catered events end these days and that’s why I’m living at my job. The bright side to this is that I have recently totally revamped our catering menus at work including dumping all of the common desserts and replacing them with quality, scratch made desserts. Included in that endeavor is this unbelievably delicious take on a red velvet cake that we now offer at work. The photo above is a partial that was sent out on a dinner and so many of my friends commented and asked for the recipe that I thought I’d share it with everyone. This is a scratch-made cake, not made from a box, so it takes a few more ingredients but it’s well worth it. This is the kind of cake you don’t mind paying $40 for at a bakery. I’ll be sharing some of the other cake recipes we’re offering in the coming weeks, but for now, you can’t go wrong with this delicious red velvet cake! Prepare the cake layers. Preheat oven to 350F. Beat first 3 ingredients at medium speed with an electric mixer until fluffy. Add the eggs, one at a time, beating just until blended after each addition. Add the red food coloring and vanilla, blending at low speed until just blended. Stir together the sour cream and 1/2 cup of water until blended. Sift together the flour and next 3 ingredients. Gradually add the butter mixture alternately with sour cream mixture, beginning and ending with the flour mixture. Spoon the batter into 3 greased (with the shortening) and floured 9″ round cake pans (about 2 1/2 cups of batter per pan). Bake at 350F for 20-24 minutes or until a wooden pick inserted in the center comes out clean. Cool in pans for 10 minutes, then remove from pans and continue cooling on a wire rack until cooled completely (about 30 minutes). Prepare the glaze. 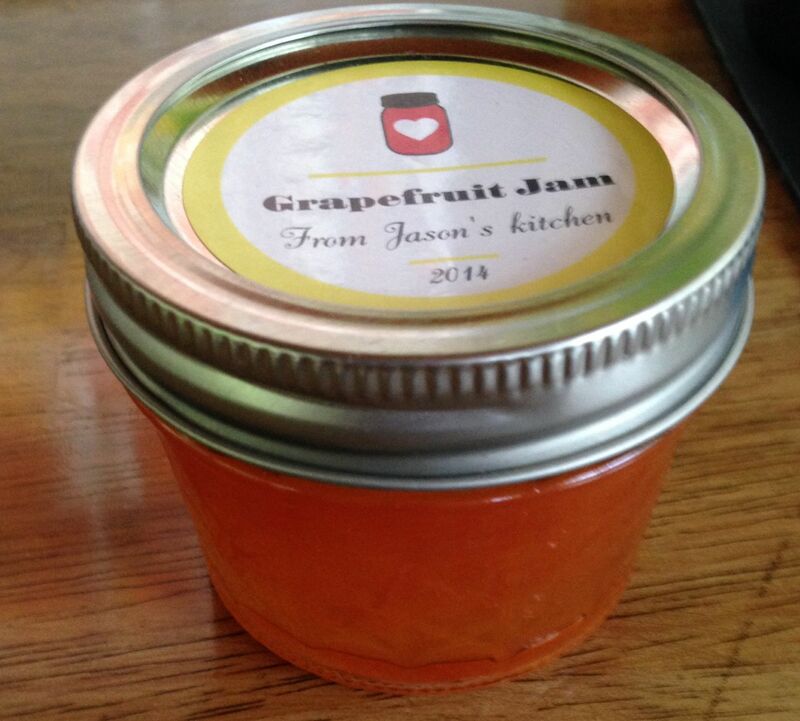 Pulse strawberry preserves in a food processor until smooth, transfer for a microwave safe bowl. 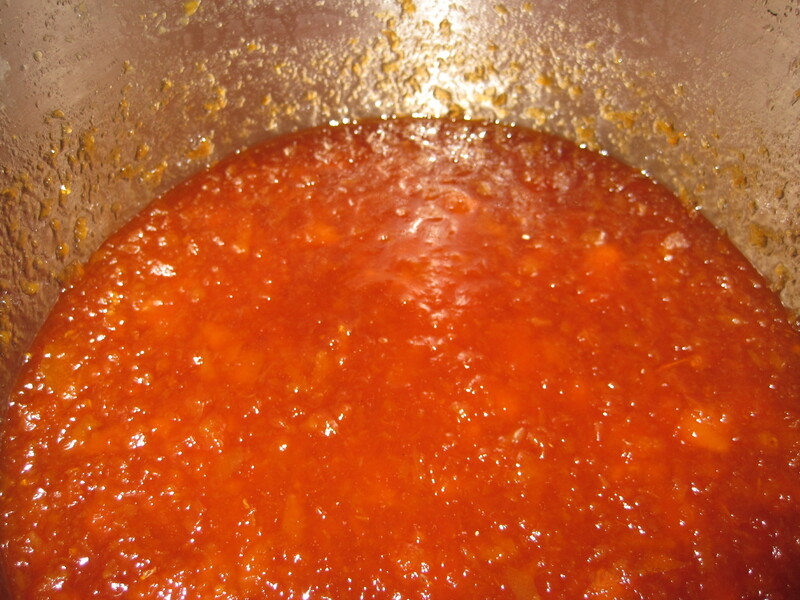 Microwave strawberry preserves on high for 30-45 seconds or until melted. Stir in the almond liqueur. Brush 1/4 cup warm glaze over the top of each cooled cake layer, reserving the last 1/4 cup of glaze. Prepare the frosting. Beat 3/4 cup softened butter at medium speed for 20 seconds or until fluffy. 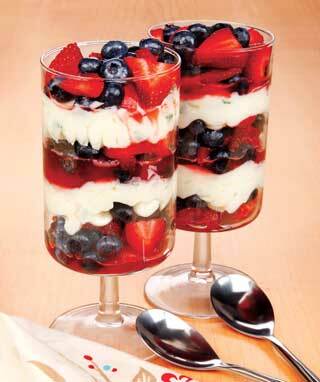 Gradually add 5 cups of sifted powered sugar and 1/2 cup diced strawberries, beating at low speed until creamy. Add 1/4 cup diced strawberries, 1 tbsp at a time, until the frosting reaches the desired consistency. Reserve 1 cup of strawberries for garnish. Place 1 cake layer, glazed side up, on a serving platter. Spread 1/3 of the frosting over the cake layer; sprinkle with 1/2 cup of strawberries. Repeat with the second cake layer, then top with remaining cake layer. Spread remaining frosting over the top, drizzle with remaining strawberry glaze and top with any remaining diced strawberries. Serves 12-16 depending on the way you slice it. About a month ago, we took the plunge and got married. After 11 years together we figured the trial run had come to an end and it was time to make it official. My mom held a nice, small reception for us and featured her holiday champagne punch, which several of our guests requested the recipe for. This punch is really a virgin punch with a champagne option. We serve the punch in the punch bowl and a chilled bottle of champagne next to the punch bowl for anyone that wants to liven it up. Simply get half a glass of punch and top off with champagne, or drink the punch as it is. It’s a sparkling punch to begin with, thanks to the soda in the recipe. It’s very easy to make and a hit at every party, so I thought it would be a nice addition to the blog. To make your concentrate, dissolve the sugar in the boiling water, then mix with all other ingredients except the soda. Portion the concentrate into quart sized ziplock bags and freeze until needed (we will make a double recipe to keep extra concentrate in the freezer for any time we want to make some punch). 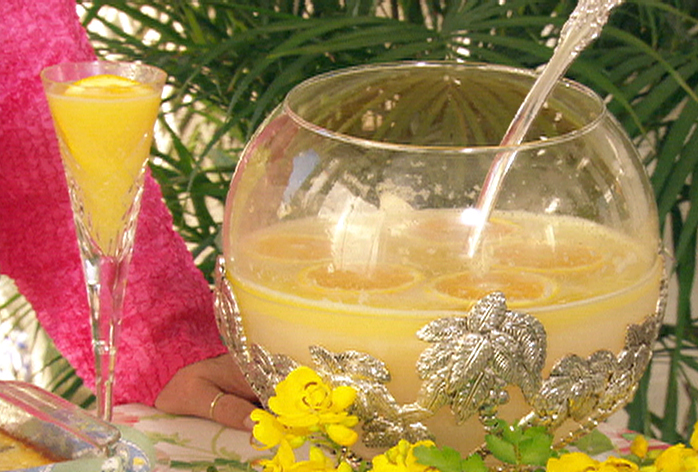 To serve, put the frozen concentrate in a punch bowl and pour the chilled soda over it. If you want a virgin punch, serve as it is, or, as I mentioned above, serve with a bottle of champagne to let your guests make their own alcoholic version, glass by glass. It’s Christmas Eve and I’ve had a lot of requests to share the recipe for the seafood dressing I’m making for dinner tonight. 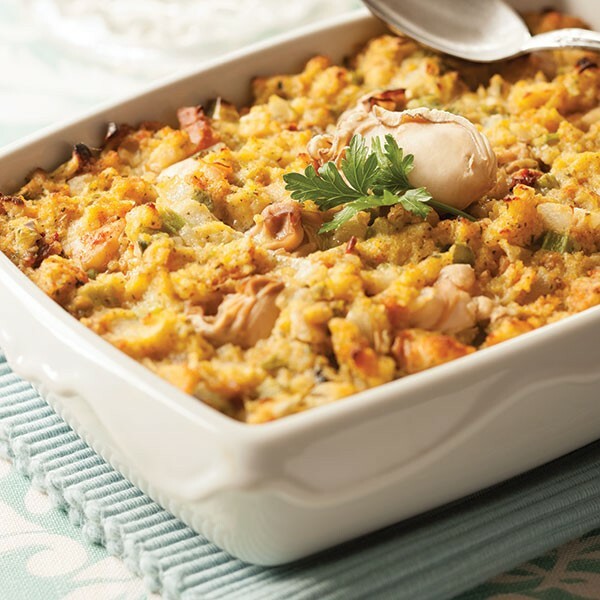 If you love crab cakes, think of this as a crab cake casserole with extra seafood added. I adapted this recipe from Cobb Lane restaurant’s Crab & Shrimp Au Gratin recipe. Years ago I worked with Mikki Bond, the previous restaurant owner, and she shared her recipe for this delicious dish in a Cobb Lane cookbook. I’ve added a few things to make my own holiday dressing which is in my frig and soon to be in my oven! Saute the shrimp and oysters in hot butter for 2 minutes. Add the sherry, salt and pepper and remove from the heat. Spray a casserole dish with butter spray. Mix together all remaining ingredients except for the cheese, paprika and butter. Add the shrimp and oysters to the dressing mix and spoon into the casserole dish. 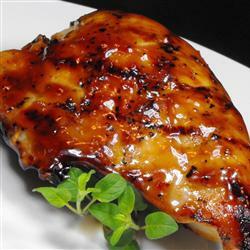 Top with cheese and Paprika, drizzle with melted butter and bake for 20 minutes or until bubbly on top. Lately I’ve been asked by several people, how to cook fresh greens, specifically kale and collards. I’ve already posted some kale recipes, so today I’ll share how I cook collard greens. One of the advantages of a grandmother that was raised in the country was learning how to cook all the vegetables that grew in the family garden. This recipe for collards is a little spicy, but that’s how I like mine, so if you want something with less kick, just let me know and I’ll share another recipe. This serves approximately 10 servings out of 1 pound of collards. In a dutch oven, cook the bacon until crisp over medium heat. With a slotted spoon, remove the bacon and reserve. In the bacon grease over medium/low heat, sweat the onions until tender and translucent. Add the garlic and cook until fragrent, 2-3 minutes. Add the collard greens and saute for a few minutes, then add the chicken stock, seasonings, tomatoes, sugar and the cooked bacon. 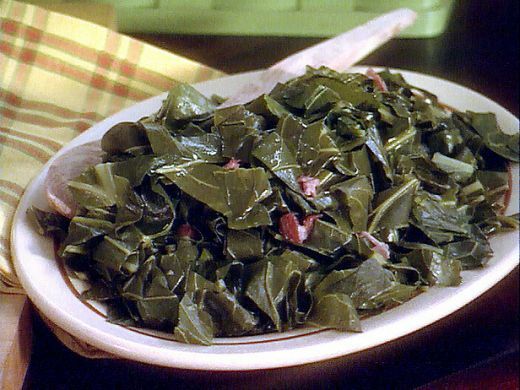 Cook the collard greens over medium heat at a slow boil for 45 minutes to 1 hour and enjoy. Country folk call the liquid in the pot, pot liquor, and they crumble their cornbread up in it. I realize cooking the greens this long really cooks out a lot of the nutrients, so if you’re shooting for the vitamin factor, you can eat the greens after 20-30 minutes, but for a true Southern style pot of greens, you want to cook them to death. That’s when the flavors blend for the real deal.